If you’re a home builder looking for new homeowners you probably get pretty excited when someone in your office says they have new leads. That’s good! Without new leads it’s impossible to grow your business. I don’t want to rain on your parade, but as someone who spent years as a home builder, I know there’s more to the story. 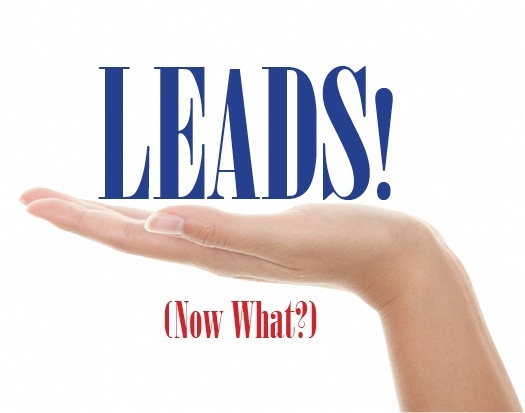 Leads are great, but now what? When it’s time to pay the bills, you can’t take leads to the bank. Leads don’t generate revenue. So how do you turn those leads into customers? If you’ve been in business for a while you know that leads don’t automatically become customers. You have to work with them. You have to follow up and nurture those leads. There’s a lot of marketing data that suggests it can take between 7 to 10 “touches” to really connect with a potential client. That’s OK! It’s perfectly normal. But what should those 7 to 10 touches look like? Should you just keep doing the same thing over and over? Most of the time what you’ll need to do to effectively follow up will involve a combination of emails and phone calls. But I’m not talking about “cold” calls or random emails. I’m talking about qualifying the leads you have by engaging individuals in conversation about what’s important to them. Remember: Prospective homeowners don’t buy a home online—but they do gather information that will help them make a decision. Here’s one example of what a lead follow up process could look like. Make sure you capture the connection. Someone who simply “visits” your website isn’t a lead. There’s really no way to engage visitors in conversation. You need a way to connect. A common way to make that happen is to offer something (valuable information) in exchange for a name and an email address. You might offer an eBook on a specific topic. You could offer a free mortgage calculator. You might offer something like a list of key questions to ask prospective builders. Offer something your audience wants in exchange for their contact information. That’s how you’ll stay in touch in the future. Acknowledge their action. A simple automatic response thanking them for their interest is appropriate. In the early stages your lead may not want to talk. They may simply be gathering information. Let them know that you noticed. It’s fine to give them the opportunity to ask for more information if they want to. But don’t push it too hard. Categorize the interaction: You’ll want to pay attention to what it is that caused your lead to contact you. There’s a big difference between someone who expressed interest in homes that are designed for aging in place and someone who is looking for a home in which to raise children. Your future messaging should be driven by what your leads want to know about. Develop a plan. Figure out how often you should reach out to leads. You’ll probably want to begin some kind of regular outreach. You may be able to create and send automated emails focused on topics your leads are interested in. Make it easy for them to access the information and make it easy for them to unsubscribe. Make it clear you’re interested in helping them—not selling them. Monitor responses. It doesn’t do you a lot of good to gather information if you’re not looking at it and using it to shape your messaging. If someone has downloaded several eBooks or reports or lists on a similar topic, it’s a pretty good indication that they are highly interested and motivated. They may be ready for the next step—but you have to be monitoring your interactions to know that. You can then invite them to an open house or send them a personal email that asks them what additional information would be helpful. All of these steps obviously lead up to the point where you can hopefully sign a contract. And while none of the activities above are a guarantee that your lead will end up selecting you as their builder, there’s a pretty good chance that you’ll make the “short list” of builders being considered. This is just one way in which you could handle your leads. The important thing is to create a process that works for you (and your prospects). There are numerous tools you can use to set up a system (Here’s a helpful look at some of those tools). But it still comes down to gathering the information and then using that information to cultivate and nurture the leads you have.